For pure misery, a sinus infection does the trick nicely -- making the head pound, the tissues of the nasal passages feel like they'll burst from pressure, even making the ears and gums and roof of the mouth throb. Plus, they trigger coughs and cause fever. Now imagine having sinus infections regularly, every few months or so. Those who have "recurrent rhinosinusitis" desperately seek relief, and for many of those sufferers, nasal irrigation seems like a godsend. It's cheap, it gives instant relief, and until now, it seemed completely safe. Researchers from Georgetown University found that people who used nasal irrigation every day significantly up their risk of having recurrent sinus infections. Nasal irrigation entails using a saltwater solution and a device called a "Neti pot." (It can also be done using a cup instead of the neti pot, and with other solutions that break up mucous, such as Alkolol.) The sinus sufferer simply takes the solution up the nose and then lets it run out, along with impacted mucous. For most sufferers, the process unblocks mucous from the ears and nose enough so that the pain diminishes right away. 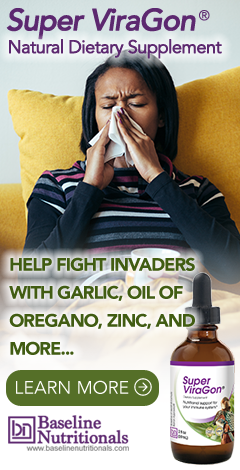 It also may actually heal the infection, providing a natural health alternative to taking antibiotics. Many people believe that regularly rinsing out the mucous keeps new infections from forming, and so they irrigate not only to treat active infections, but also to prevent future ones. But the Georgetown University researchers say too much of even this good thing may not be so good, after all. The study followed 68 chronic sinusitis sufferers who used nasal irrigation twice a day for a year. The next year, the subjects stopped the daily nasal irrigation completely, and their incidence of sinus infections went down by 62 percent. Put another way, the year that the subjects rinsed twice, every day, they suffered an average of eight episodes of sinusitis a year. After they quit the irrigation, they only had three episodes a year. Plus, the study included a control group of 24 subjects who continued to rinse every day while the original group discontinued rinsing. Those who kept rinsing had a 50 percent higher incidence of new sinus infections. How could clearing out mucous possibly increase risk of sinusitis? "Daily long-term use [of nasal irrigation] may result in an increased frequency of acute [sinusitis] by potentially depleting the nose of its immune blanket of mucus," researcher Talal M. Nsouli, MD, wrote in a paper presented at the annual meeting of the American College of Allergy, Asthma and Immunology (ACAAI) recently. According to Dr. Nsouli, "By washing the nose, we are removing the bad mucus but, unfortunately, we are also removing the good mucus that contains the antimicrobial agents as well." Apparently, mucous contains immunoglobulin A, immunoglobulin G, lactoferrin, and lysozyme, which act as antibacterial, antifungal, and antiviral agents. So there's good mucous and "bad" mucous, just as there are good intestinal bacteria and not-so-good bacteria. When you take antibiotics and kill all the intestinal bacteria, you end up with gastrointestinal problems and a compromised immune system. That's why it's important to take probiotics if you find yourself in the unfortunate position of needing antibiotics -- to replenish the good bacteria that gets stripped out. In the same way, when you flush out all mucous, you strip away the protective element and upset the natural balance of the body. Mucous is there for a reason. It's only when it's old and dried or carries more infected material than not that it needs to be flushed out. "I don't have anything against short-term nasal saline irrigation -- even aggressive nasal saline irrigation for three, four days or one week is totally fine," Dr. Nsouli said. "But when we are doing it on a daily basis, we are modifying the immunological biochemistry of the nose." Dr. Gaelen T. Marshall, who edits Annals of Allergy, Asthma and Immunology, agrees that short-term use is advisable. "It is still a good idea to get rid of mucus through a saline wash when a patient has a cold," Dr. Marshall says. "But as with anything else, you can overdo it. Of course, all of these "medical" statements must be taken with a grain of salt (tada!) since all this attention on the dangers of nasal irrigation serves the pharmaceutical industry well. We don't necessarily need to throw the neti pot out with the saline solution. And remember, many medical practitioners still consider the first-line treatment for sinus infection to be antibiotics. And antibiotics can lead to chronic sinusitis plus a lot more trouble. Given the choice between nasal flushing and antibiotic treatment, the neti pot surely seems the less dangerous -- just don't use it twice a day, every day, on a prophylactic basis, at least not until more research comes in. PS: And here's a nice trick if using the neti pot while you actually have a sinus infection or cold. In addition to the salt, you can add a couple of droppers of a good Echinacea based tincture to aggressively "go after" the bad guys.